The idea behind the press formed during our travels through Latin America. We realised that there was a wealth of amazing new authors in this region, and very few were available in English. Many were being translated into French, German, Italian, Chinese, and even Hebrew. Why should Anglophone readers be missing out? Carolina – originally from Argentina, a specialist in Latin American literature and a published translator – has always had a passion for the literature from this part of the world. Combined with my background in IT and business, we realised that we were in an ideal position to help change this situation. There is something unique in this new generation of Latin American writers that attracted Charco’s attention, a generation stepping out of the shadows of their region’s history, stepping out of the shadows of silence, or of topics that were not broached, or at least broached easily. There is a feeling of renewed freedom in their writing, of being comfortable to experiment with style, and to question more searchingly the lives, emotions and experiences formed from living in this part of the world. We find many readers pick up one of our books, not quite knowing quite what to expect, and being blown away. We even received a handwritten letter from a reader in Australia, thanking us for bringing Fireflies by Luis Sagasti (and translated by a Scot – Fionn Petch) into English, he had loved it that much. This is possibly the most satisfying aspect of what we are doing. Our first books were published in September 2017 and sought to showcase this freedom, the breadth of styles on offer. 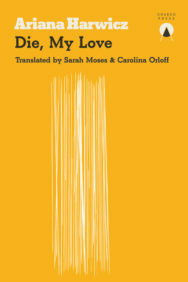 The standout from this first release has been Die, My Love by Argentinean author Ariana Harwicz. It has been listed for several prizes, most notably for the Man Booker International 2018. For a book written by an author previously unheard-of in the English-Speaking world, and published by a brand new publisher, to gain this sort of recognition was obviously a proud achievement. And it helped reinforce that, perhaps, we are doing something important. A second part of our mission is to bring the very important role of the translator to the fore. It is an art form unto itself and deserves much wider recognition than it currently receives. 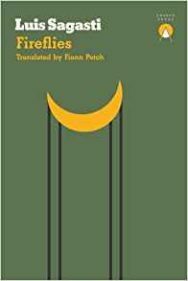 We aim to work with an array of translators, including both those that are very experienced and established, and those in the early stages of their careers who haven’t yet broken into what can be a very exclusive circle of literary translation. All of our translators are named prominently on our jackets, along with the author. As a new publisher starting out, and with neither of us having previous publishing experience, there have clearly been some steep learning curves involved! But our best decision was to start here in Scotland – the support, interest and comradery we have been shown since starting, by both the industry and readers alike, has been simply extraordinary. It helped us no end as we were (are!) finding our feet. To be able to bring some of our authors here, all the way from the other side of the world, with support from the likes of the Edinburgh International Book Festival, is just incredible and extremely important for us. It also further strengthens cultural cross-pollination between Scotland and Latin America, which we think is beneficial to both sides. The biggest challenge we face is in changing attitudes towards ‘translated fiction’. The weight of demarcation between this and ‘non-translated fiction’ that exists in the UK is, to our minds, somewhat out of balance. We are very proud of the works we publish, and believe they are more than capable of standing side by side with non-translated authors. If you pick up a book, and it is in English, and you love it or it touches you in some way, then should you care that it was not written originally in English? Our challenge is to change this mindset, to rip off the ‘niche’ label, by making our books as accessible as possible and also by publishing different types of fiction. 2018 has been a busy year. 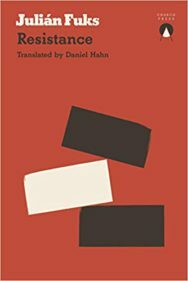 We have just released our 9th title, the superb Resistance by Brazilian author Julián Fuks and translated by Daniel Hahn. This book has won some of the most prominent literary prizes in Brazil, Portugal and Germany, and we are proud to be finally giving readers here an opportunity to read it in English. We have The German Room, by Argentinean author and playwright Carla Maliandi coming in November, the film rights to which have already been acquired in that country. Looking forwards to 2019, we have authors lined up from countries such as Chile, Mexico, Colombia and Guatemala. We will also be bringing new titles from a couple of our previously published authors, including the second novel by Ariana Harwicz. Along the way we have a few new things we will be trying out, such as partnering with the University of Edinburgh on a new novel by Gabriela Cabezón Cámara. Perhaps in that same spirit of our authors, then, Charco Press aims to continue exploring, experimenting and endeavouring. But above all, learning and growing. Making an impact. Resistance is published by Charco Press, priced £12.99.